The ALS ice bucket challenge – friend or foe? A few days ago I was ‘challenged’ by one of my mates from church to pour a bucket of ice water over my head. It’s a pretty random thing to do, but I did it anyway. For anyone who hasn’t been living under a particularly large rock, you won’t have been able to avoid the sight of thousands of folk all round the world doing something similar. It’s all in the name of charity, raising awareness (and donations) for ALS, a motor neurone disease that is almost always fatal. Like any fad though, the challenge has attracted many critics. 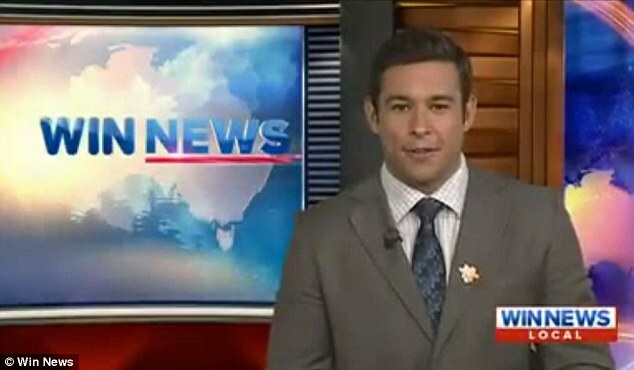 One Australian TV anchor railed against it by pointing out that there are other charities you should also donate to. Other people have called out participants for wasting water, particularly in the face of a drought or people overseas who lack basic possessions. So, with this all in mind, why did I decide to do the challenge? Basically because: 1) I wanted to donate to a charity I’d never previously heard of (and yes, I did donate money as well as do the ice thing), and 2) because it helps raise awareness of a good cause. And, to be honest, I'm a little disheartened by all the hate towards the challenge. Sure, it might be getting a little tiresome to see people performing the feat (as any fad gets tiresome once you've seen it too many times), but let's not denigrate the whole thing just because it's now a little tired. Still, the arguments against the challenge deserve to be considered and tackled. So, without further ado! Why ALS and not another charity? So, let me ask: why does donating or raising awareness of one charity mean you can’t do the same for another? And what criteria are you using to say that ALS research is less ‘worthy’ than another cause? I don't think this is a real objection, so let's move on. 1) The Cancer Council: Let's examine the Cancer Council's biggest morning tea. This is based purely on the concept of food. It acts in the exact same way as the ALS challenge, only this time you have to bring food for others rather than pour ice on yourself. Now, every biggest morning tea I've seen results in heaps of food leftover - no one can eat it all. So, if you're being cynical, you could say that the biggest morning tea is a waste of food. It's also borderline insensitive for people who are starving in the third world. 2) The Red Cross and donating blood: The TV presenter mentions you get a snack after your blood donation. Isn’t this costing the Red Cross? Isn’t the food that you get taking away from what they’re doing? Also, the cost of producing the food is done by companies like Nestle, Smiths which are burning fossil fuels in the process. And couldn’t this food be better spent by being donated to starving people in Africa? If it seems like I’ve gone too far – you’re right. All of those objections sound like I’m nitpicking (Because I am. Both these charities and activities are awesome, by the way. You should all take part and donate. Let me reiterate - these activities are GOOD). But where do you draw the line? What gimmick is fair game and what one is misusing resources? What criteria are you using to say that one use of resources is a waste, whereas the other is good? 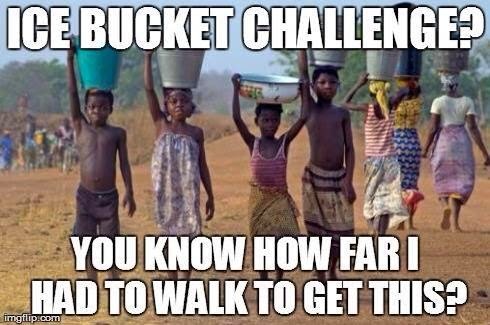 Lastly on this point, there’s a meme going around of African women carrying water from afar with a caption saying it takes them ages to get water so we shouldn’t waste water in the challenge. Again, this isn't really fair. I don’t think the African women’s water availability will be affected at all by whether someone in Australia does the ice bucket challenge or not. And we’ve already argued that you can’t denigrate one charity at the expense of another. And here's something else that's a little controversial: anyone sharing that photo better be careful the next time they spend money on food at a fancy restaurant because, if they’re consistent, they should never indulge like that again because those women in Africa don’t have ready access to food. And dining at a 5 star restaurant is seldom raising awareness for a charity like the ice bucket challenge. This is perhaps a little more complex. Yes, there’s definitely an absence of altruism in some people’s ice bucket challenges. Some are doing it to get a reaction rather than emphasising anything about ALS research and donations. But, let’s not throw the baby out with the bathwater. Just because someone does something not in the spirit of an activity, does that mean the whole exercise is worthless or bad? I have to say “no”. So far ALS research in the USA has received a boon of around $80million. Compared to the same period last year, ALS research got around $2.6m in donations. That’s an increase of around a bazillion percent (I rounded up). So those saying that the challenge isn’t leading to any real change of behaviour are clearly incorrect. And let's not denigrate a whole campaign that's doing so much good to help find a cure for an incurable disease, just because the selfie-generation are keen to emphasise the "look at me!" aspect. And, lastly here, how do you compare the 'waste' of all the water being used with the 'good' it's doing in raising both awareness and donations. What criteria are you using to declare the ends don't justify the means? I'm not giving an answer here, but you should consider this before you object. I reckon the ALS ice bucket challenge hate has a bit of tall poppy syndrome to it. It happens with all fads. People embrace it enthusiastically and then it gets a little tired and people start complaining; particularly if you see a bit of selfishness in on proponent’s efforts. It happens all the time. I saw about five different ice bucket challenges on my Facebook feed today and I must admit, I thought - I'm a little over this now. But complaining about something because you're tired of it is very different to actually denigrating the challenge and its participants. Like it or not, it's still proving to be doing so much good. Also, if you’re going to nitpick to hate the ice bucket challenge, be prepared to apply the same level of scrutiny to every charitable endeavour around the globe. And the results may disappoint you. Also, for what it’s worth, the Win TV guy has confessed that he spoke without thinking after backlash from someone who lost their mother to ALS. She felt offended by his TV rant so the Win TV guy apologised and said he had made a ‘gross error in judgement” in making the video. Interesting. The big problem here is that human beings don’t help other people naturally. The common question people ask is “what’s in it for me?” Hence why sophisticated marketers try and come up with gimmicks and challenges to encourage behaviour change. The ancient Hebrews called this "hesed", which is loosely translated as "loving-kindness". This essentially means sacrificial giving. Doing something that inconveniences you for the sake of doing good to others. Sadly, that’s not how people are wired. This comes naturally to very few people indeed. I can only think of one person in human history who could genuinely and honestly say that they lived their entire life seeking to selflessly serve others, and that was Jesus. For the rest of us, we (mostly) need to be compelled to do good things, and the ice bucket challenge appeals to exactly that. So, before criticising it, perhaps evaluate your own life. And before denigrating the challenge or those who participate in it, perhaps you can just start doing some good yourself, and forget about how other charitable causes may not be up to your own standard of excellence. In fact, let's all just get on with doing the best we can to help others. Now that's a real challenge. Warning – pigeons have been located, sabre-toothed cat inbound. Interesting post Dylan, I’ll throw my shirt to the guy in the front row and step into the ring. I should start by saying that my attitude is somewhat influenced by my background in Communications, with media, PR and external engagement thrown into the mixing bowl. The end result can often mean I have been moulded to be more cynical than the average punter when viewing the real motivators behind causes such as this. Let me begin by saying (and yes, this is the disclaimer) the cause is terrific. Like most charities, it is (was?) in dire need of funding, awareness and support. The outcome from the ice bucket challenge will no doubt provide this organisation more opportunities to continue its research than it ever could have imagined. As you have pointed out –this is a fad. The idea of challenging your mates to dump water on your head, and post to social media is something funny, cool to watch (at least for the first 50 videos) and has gained celebrity status and it will be gone by Christmas. By then, the organisation will most likely have achieved $100 million in donations – staggering. But at what cost? Huh, how can there be a cost? Simple. We dont like giving away our money more than we have to. How many times do you get approached asking to donate to this and that? Suppose you sponsor a child in Africa and are approached by someone in the street to sponsor another. What would you say? “Sorry, I’m already sponsoring someone”? We don’t have endless amounts of money, and unfortunately, I would imagine (yes, I’m having an educated guess here), once we donate to a charity, we tick that off the “have done” list and will often not donate again. Quarterly budget meeting cancelled due to our CFO not being able to afford the butchers paper and pointer to adequately present the data. However it can be summed up briefly below. We’re sinking quicker than the titanic. Also please note that from Monday we will introduce a chair sharing arrangement due to the selloff of most office furniture. Please see the Matilda from HR before Thursday if you have any further questions (we will have to let her go from Friday, so get in quick). “I reckon the ALS ice bucket challenge hate has a bit of tall poppy syndrome to it. It happens with all fads. People embrace it enthusiastically and then it gets a little tired and people start complaining; particularly if you see a bit of selfishness in on proponent’s efforts. It happens all the time. BOOM. Nail on the head. 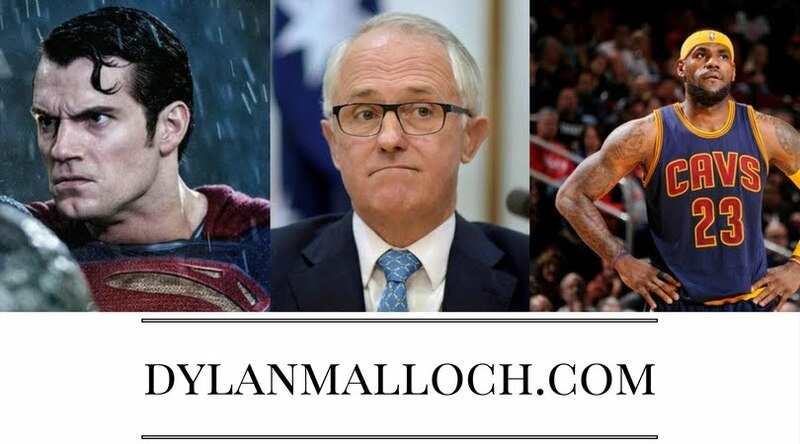 How many people are jumping on the bandwagon to dump ice over there head, have no mention of the campaign or where to donate, and then throw out the challenge their mates? I’d like to insert the best written response from one of my favourite TV personalities, Mike Rowe (the guy who does Dirty Jobs, voice over for Deadliest Catch and much more). It captures my thoughts perfectly. Thanks Dave - but I reckon your two objections are actually anticipated and addressed in my post. By saying that because we're donating to ALS we can't donate to something else, you're saying that some charities are more important than others. So you have to go deeper and give some rationale as to why donating to ALS research is a poorer use of money than donating to something else? And if you reckon one charity is more important than ALS, is that THE most important charity? Or are there other charities of even more importance? If so, why? As for the bandwagon aspect, I say don't throw the baby out with the bathwater. On any 'good' cause there will always be people that do it with wrong motivations and self-interest. But just because SOME approach it poorly, does that make the whole concept invalid? I think not. But hey, you commented on my blog - which is awesome!